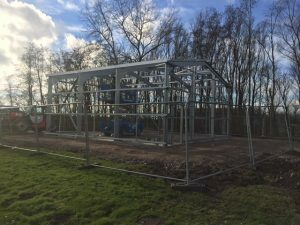 Steelbuildings.co.uk has been tasked this week with a steel building in Formby Liverpool. 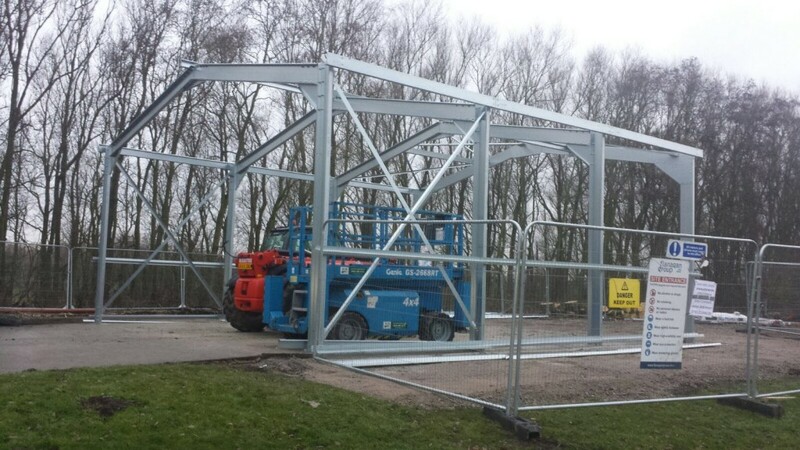 Here are some pictures of a new steel structure being installed at a Water Treatment works in Formby, Liverpool. Now ready for the netting and edge protection. Then on with the cladding and doors. 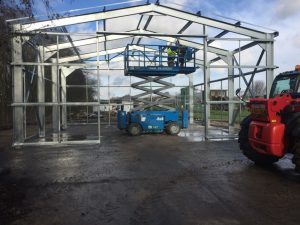 Customer will have the keys to the new building Wednesday next week.